I think my affinity for the $9,988 Micra is well established at this point. But, now that Europe has their own new, more complicated, more expensive, and less shoebox-on-wheels-y Micra, I’m not sure how much longer the current Micra will be sold in Canada. That means there needs to be a replacement, considering the not insignificant niche that Nissan has carved out in the ultra-cheap car segment. So what’s another ultra-cheap car sold by Nissan? The Dacia Sandero, of course! Now, I grant you, ceci n’est pas un Nissan. C’est un Dacia. But who owns Dacia? Renault. Who has been in a joint venture with Nissan since 1999? Also Renault. A Nissan Sandero would make a lot of sense in Canada. We like cheap cars here. 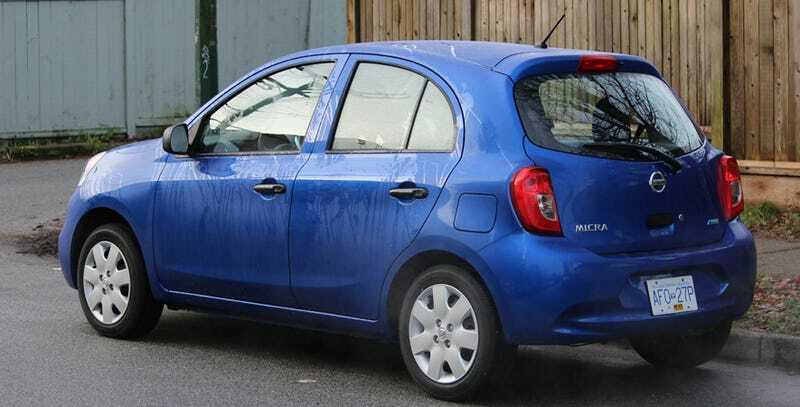 Hell, you might not even have to badge it as a Nissan, just bring Dacia here and sell them at willing Nissan dealers. If the Dacia brand was brought over here, we could also have the newly-refreshed Duster, which would quite figuratively print money.